Hotel sun connect Djerba Palace Djerba | Djerba: Info, Maps, Photos, Hotels, Attractions, Restaurants, Excursions, Walks at sea, Quad .. 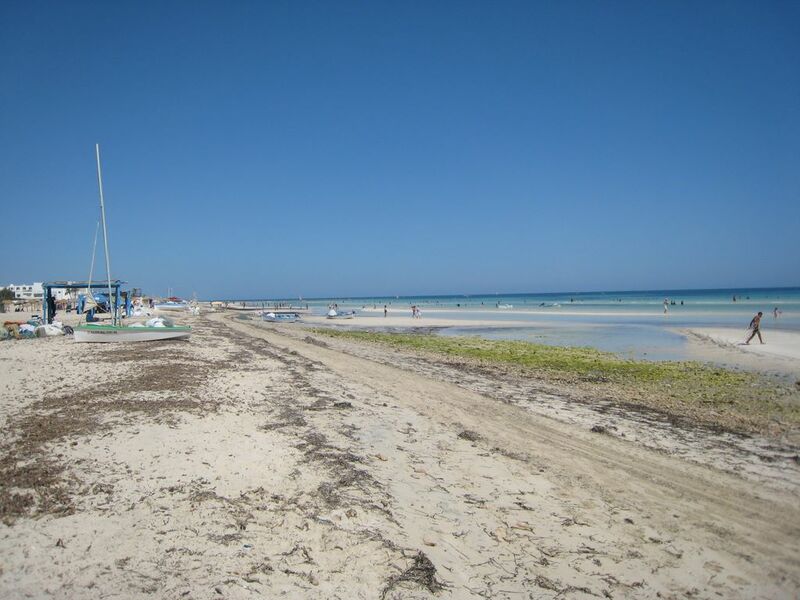 The Djerba 4 star palace is 6 km from Midoun and 20 km from the capital Houmt Souk, bus stop outside the hotel, shops and entertainment venues 1 km. This two-story hotel is inspired by a djerbienne architecture and rooms equipped with 217, 26 duplex, 18 8 suites and villas equipped with modern facilities and various services to make your stay as pleasant as possible, all with TV satellite and a balcony or terrace. Amenities Room: Cable or Satellite TV, balcony, patio, air conditioning, direct dial telephone, mineral water in room (complimentary), refrigerator (on request), wake up calls, private bathroom, towels, extra bed , makeup mirror, child care (in room, surcharge), operable window, smoking ..
Mida is the main restaurant for residents of the Cesar Palace. A very nice place with luxury settings. A buffet or à la carte formula is offered to customers, with an influence Tunisian and international cuisine. It is possible to reserve the same table during your stay. Piano bar: To enjoy a calm and pleasant. Decorated with style and sophistication, the piano bar is a relaxing place where you can chat and enjoy drinks in total peace and harmony. Tea Room: located in the lobby of the Palace of Djerba, a pleasant meeting. With a North African style, this place is definitely appreciated by visitors. Very typical and traditional with small tables and furniture in Tunisia, enjoy the mint tea, Turkish coffee and chicha Tunisia. Beach Bar & Grill: Facing the sea, the beach bar serves burgers, sandwiches and grilled. Fresh drinks and wild times await you in this bar. After a windsurfing or water skiing activities, this is the best place to relax and meet people. The American Bar: brings together a mix of people of all ages and nationalities at the Palace of Djerba in a relaxed and comfortable atmosphere offering a wide range of drinks, cocktails, and beatings. A group of musicians is in use every night and the bar becomes a dance. Coffee: a focal point of the hotel complex at the Palace of Djerba with a magnificent terrace overlooking the pool. A meeting place where you can come and discuss and exchange ideas. All kinds of drinks are served here with hot and cold dishes such as pizza, sandwiches, steaks and fish. The barbecue: open daily for breakfast, a wide selection of salads and grilled meats is offered to our customers. Located in the pool area and surrounded by gardens beutiful, it is very popular with our customers. Wet compartment: A saltwater pool with aquatonic 8 staged underwater jets, hydromassage benches 4, 2-collar signs 1 corridor running against the current, 2 geysers, steam 2 - 1 Sauna - A marine ball - a foot bath, 8 hydromassage baths which 3 with chromo-therapy, blankets 7 - 2 Thalathérmes, Vichy showers 3 - 2 jet showers - 1 circular shower. dry compartment: 4 aesthetic cabins - 13 massage rooms, cardio training room 1, 1 relaxation therapy room (waterbed and headphones to music), cavitosonique 1, 1 Barber, 1 relaxation space ..
Table tennis, mini golf, darts, bocce, volleyball, aerobics. Progrmme animated day and occasional evenings.